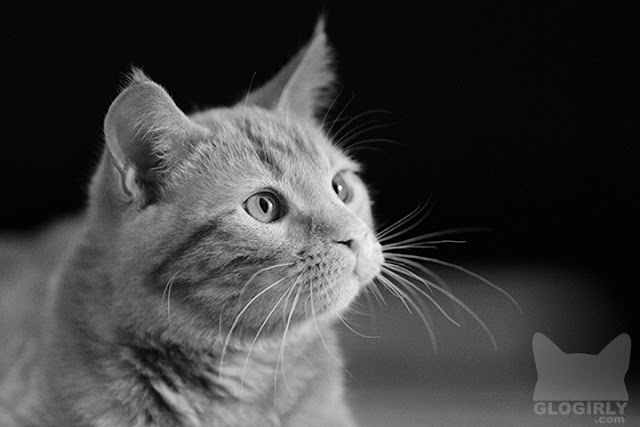 Today's photohunt theme is *Monochrome. * So who do you think does monochrome better? Answer if you dare. We're too chicken to answer! I am sure you would look good in black and white too Katie. Katie, I love you, darling! My first and best kitty was a Tuxie, named Zapata. But I just finished a painting class today, and we were told to observe color, shading, and light and dark values. So from an educational painting perspective, Waffles Too has it down pat. But we all know who lays down the paw in this world! Pretty in every shade. Happy Caturday! I like both! I was tempted to go black and white for this week's Photo Hunt, but I figured it out in color. Can't choose. Both absolutely gorgeous! Oh no we can't choose they are both pawsome. Have a super Saturday. Both are beautiful! Have a great weekend! Well, WE dare, only because we suspect W2 couldn't care less, but obviously, Katie is the Monochrome Monarch. Besides, even in black and white, W2's NRG bounces right off the page, (practically shouting at us "I'm really orange!!! get it? ORANGE!!!! ), whereas Katie's light and shadow stays where it should, all regal and dignified and whatnot. 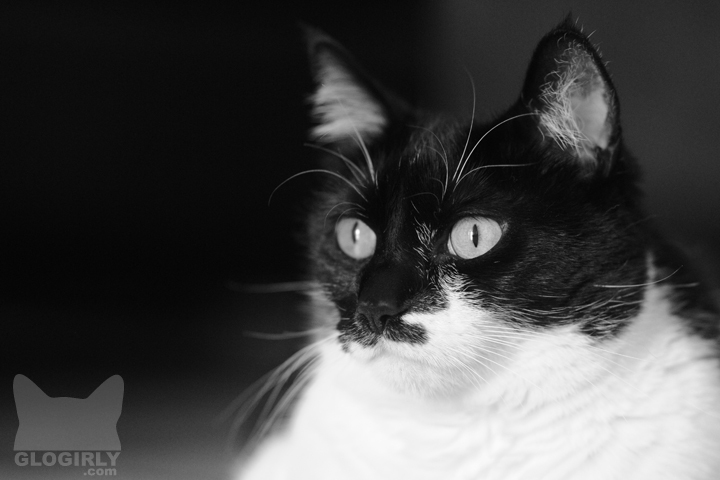 Oh Katie, obviously a black and white kitty looks monochrome cool! Of course it´s you , Katie that does monochrome BEST !! Katie... paws down, you will always have the advantage in this one!!!! xoxox from the Zee/Zoey gang! You win paws down Katie. We tuxies rock Katie, so I'm voting for you. We think that Katie looks great since she's black and white - but Waffles Too would look better in color. Aww... black and white beauties! Woo. Well, color me partial, but I think us black and whites do monochrome best. No offense to W2 or Zim. I do not dare because I could not possibly pick one!!! Um...we're chickening out and saying we think they both are very nice. We really don't dare. We want to stay friends with you both. Well strictly speaking we would have to say the most monochrome is.....Okay, we've chickened out too! I knew everybuddy was gonna go b&W so I went PINK! Katie's a natural in black & white. Love your Watermark. We don't think we want to get in the middle of this one.